Welcome to my blog!! I am so excited to get to share with you this project that I made with the newest stamp sets from Miss Emma at My Creative Time. Check them out!! 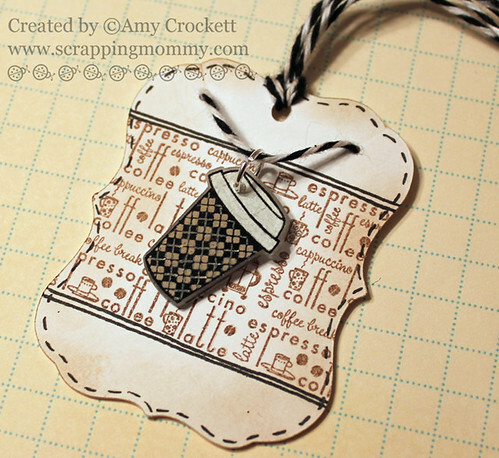 I used the awesome new Coffee Break with the fab die to create the coffee cups along with the stamped background on the tag. 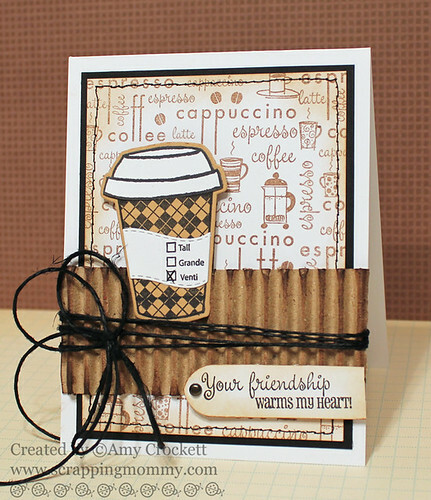 The background stamp on the card (that matches the tag) is from the new Coffee Backgrounds stamp set. The sentiment comes from the new You Are Perk-Fect stamp set. I have found a fun new product to use, too.......Shrinky Dinks!! I die cut them by running some though my Cuttlebug with the die in the Coffee Break stamp set and then stamped with the stamps from that same set. Be sure to punch a big hole, because it will shrink, too. I then baked them in my oven to make these fun little charms for a friend. See how little they shrink to (it was the same size as the latte on the card)....they also thicken up to make a perfect little charm. I colored them with my Prismacolor pencils before I baked them. This tag is cut with my Cricut and the Wedding Shower cartridge. I used one of the stamps for the coffee cup in the Coffee Break stamp set for the tag background. 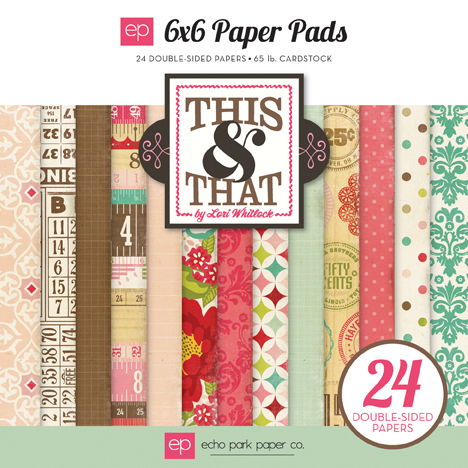 Since it is national craft month, Emma has decided to do something a little different with this new release. 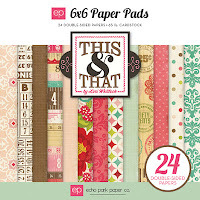 She is letting you link up your projects created with the NEW STAMP SETS to have a chance to win a wonderful prize. Check out her blog HERE for the details. Have fun and good luck!! 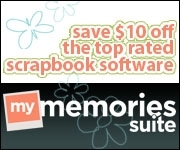 Amy I love the idea of the SD, I just found the product too! it is so much fun. And this release is AWESOME, love everything about it. TFS. Love your card and tag!very cute! TFS and inspiring. What a sweet card. This would be perfect to make for my co-workers. Thanks for the chance to win. This so rocks Amy! love the color scheme and the use of the cardboard is just genius! Your card is amazing, you have done such a great job with all your detail and colours. I now wish I had this stamp set.. Very cute card. Definitely going to try shrinky dink ... The tag you made is adorable! O my goodness what a great idea using shrinky dink with the dies!! I am going to have to try it!! I love the card as well!! Thanks for the chance to win!! Oh wow, I love your creations, the colors are great! I love your card...oh my what great and unique ideas you've shared..thanks so much! cute projects. very nicely done. tfs. Amy, I LOVE your project! Your card is just gorgeous with the warm colors and fun textures! And I love your tag with the shrinky-dink charm! We were on the same wavelength this week! Great job again Amy!! I wish I had your creativity!! thanks for a chance to win! Your projects are beautiful. I love that you used Shrinky Dinks on the cup, that is awesome! Amy ~ OMG! This is beyond FABULOUS! What great colors and ideas! I have those shrinky dink for my son! I am so going to have to try this! I LOVE the cardboard and your inking! BEAUTIFUL! Your card and tag are adorable! I love the SD idea. I really need to do that again. I loved making those and so fun to add to a project! TFS! Wow soooo cute. I love the card and tag. I love the little crinkled paper on the front. Great colors. OMG Amy, your card and tag are absolutely Fabulous!!! I reall love the colos and the crimped Kraft on your card..
Amy, I just love the little shrinky dink charm. What a great idea. Your card is really cute too. Thanks for the chance to win. Wonderful project. I love the tag. What a beautiful card. I love the little tag too. Thanks for sharing your wonderful talent with us! VERY cute project!! Love it! Love the shrinky dink, I have some of that but haven't been brave enough to even try it! AMY!!! THIS IS B-E-A-U-T-I-F-U-L I love love love it!!!!!!! Wow what can I say but awesome. Your work is beautiful. Love the SD got to try it. Awesome! I love the shrinky dink idea! Oh wow! Love ur card and the awesome shrinks Dink idea! Love it!! your card is AWESOME and love the shrinky dink idea!!!! Fabulous! Love how you used the shrinky dinks. I love this idea for the shrinky dink charm! So adorable! Love the card and just love this new release! You did an awesome job on all the projects! Have a wonderful day! great idea to use the shrinky dink! Cute projects! Shrinky dinks rock - great idea! Thanks for the inspiration! This is adorable! I use shrinky dinks alot, love them! FYI~ a heat tool works awesome with them so there's no need to turn on the oven! Put the shrinky in a tray and heat away. Great colors too! Your card and tag set are terrific. 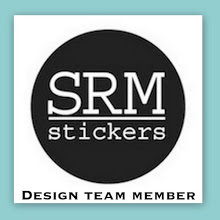 Great job!--Pat N.
I love using Shrinky Dinks, too! I love the corrugated strip you used on the card! Thanks for the chance to win! Oooh, love shrinky dinks! 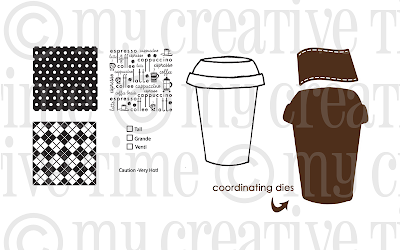 your project is so creative...and yes, I am crazy for coffee! Great card and tag ideas. I have been looking for the shrink plastic and not finding it for a while...I don't get to the store often and heard to look in the children's crafts...I will try there next. Great job on your projects! Love the tag and card. I like the way you crinkled the paper and the background stamps are great. Thanks for the idea about the Shrinky Dinks. Shrinky Dinks.....GENIUS!!! What a great card, it's so pretty! My favorite colors are brown and beige so this is by far the cutest card ever. Great job with the detailing. I love your card and tag! Thanks for sharing. Super cute card. Love your blog! AH! Shrinky Dinks! Must get some! This project is so adorable!!! Very cute card and tag. Shrinky dinks bring back memories. Have to give this a try. Thanks for sharing. Great job!! These are beautiful! How cute. I love the colors. I love the tag. Such great ideas. Your Card is awesome great job on it!!! WOW Amy! How ADORABLE and clever! I never thought to use Shrinky Dinks in my Cuttlebug...thank you for sharing you AWESOME ideas! Super cute card and tag set!!! So cute Amy!!! Love your projects!! Fabulous ideas! Love them all! I just love that you did the matching tag and the y look great together. I love shrinky dinks. I am tempted to buy them every time I go to Michaels. This is a super cute card. I love this background stamp. Great job! Love that shrinky-dink idea--blast from the past! This is really a great card. Thanks for sharing. Would love to win the giveaway! Such a pretty card. I really love the background stamp & the color you used. TFS AJ! Great ideas! Love the shrink plastic idea too! WOW what a neat card! I absolutely love it! Love the browns! Super cute! Amy, you are so very creative...I forgot about my childhood obsession with schrinky dinks. Gonna fix that! OMGosh I love your card and tag! How cute they are!!! Great card and tag, love this set can't wait to get it in the mail. Beautiful card and tag! This stamp release is adorable and you did a bang-up job showcasing it! This is soooo cool!! I love the tag with the shrinky dinks!! Your card is awesome!! I love the texture and the colors of the card!! How cute is that!!! I love the little mini matching cup on the tag, what a fun idea! Thanks so much! Love the coffee cup Shrinky Dink! It's so perfectly sweet!!!!! TFS! rgauss at sbcglobal dot net. Great project. Love the new release. What a great idea using the Shrinky Dinks. Love your card too. That shrinky dink tag ROCKS!! I love your card and how cool to have a matching tag. I really like this stamp set. Awesome card and awesome tag!!! you have done an amazing job with these new releases! This is such a great card...you always have the best ideas! This is a set of stamps I need to get to make cards for all of my coffee drinker friends. I love it! Love your ideas & they are so pretty!!! fantastic idea with the shrinky dinks! Love your card as well! 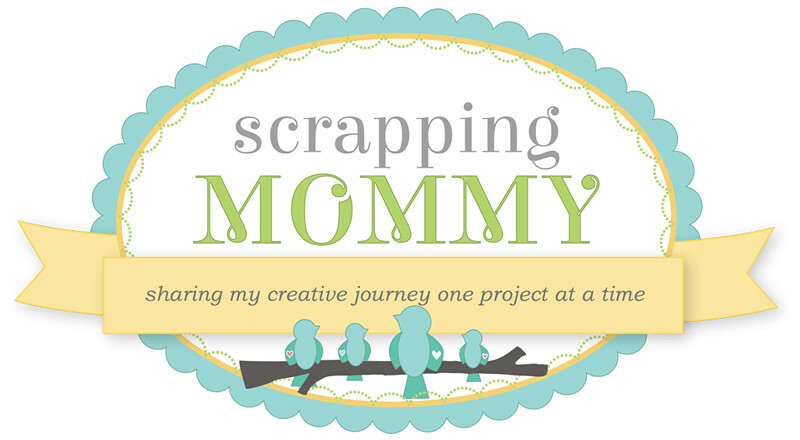 Super cute project. I need to try shrinky dinks. I would love to make a charm for my Gypsy stylus with this new release. Amy I just love all the cards and tags you make! 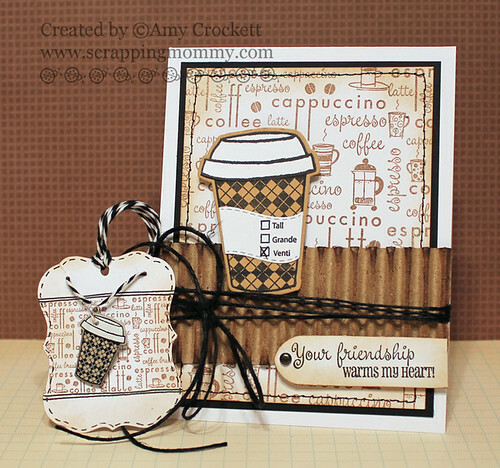 I just love the card you made with the coffee break stamp set. Wow, your card is soo super cute!!! Love it!